Study on an English course in Brisbane - an amazing contradiction of a city! As the third largest city in Australia, the capital of Queensland has a buzzing cultural scene, first-class museums and exciting nightlife, yet retains a wonderfully relaxed atmosphere. In amongst the ultra-modern architecture of the Central Business District (CBD), hide peaceful parks and unspoilt historical gems. Admire glistening skyscrapers from the top of Story Bridge, which offers unrivalled views of the city and the meandering Brisbane River. Just south of the city is the incredible Lone Pine Koala Sanctuary, while to the east you’ll find stunning white sand beaches. 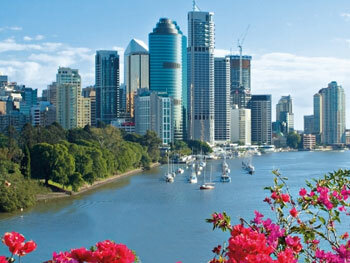 If you learn English in Brisbane, you’ll want to return again and again! Our English language school in Brisbane is ideally located in the city centre, just 7 minutes’ walking distance away from the Central Station and close to top attractions such as Story Bridge, Roma Street Parklands, Southbank Beach, and Queen Street Mall. The school has excellent facilities with 15 classrooms all equipped with interactive white boards. 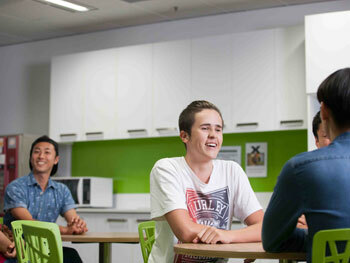 There are also 2 computer labs where over 50 computers are available for students and free wifi access is available throughout the school building. After class, you can socialise in cosy cafés, browse elegant shops or enjoy a walk along the riverside. Alternatively, you can unwind in our school’s student lounge; hone your language skills in the library; or enjoy the free wireless Internet access offered by our school. 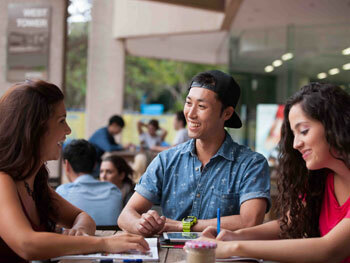 If you want a balance between tuition and free time, choose the Semi-Intensive English course in Brisbane. It includes 16 English lessons each week, so not only will you learn lots of English, but you’ll have ample time to explore Brisbane as well! The school also offer an Intensive course which includes 20 English lessons each week, and preparation courses for the Cambridge Examinations. If you take Private English Lessons, you can choose whichever topics you like for your course! Your teacher will spend more time on those areas of the language that you have most difficulty with, allowing you to swiftly overcome any problems and learn quickly! 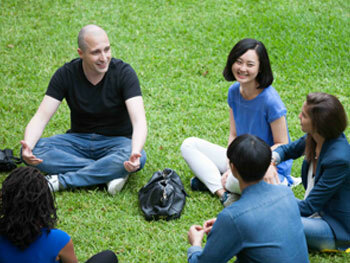 Please contact us if you have any questions at all concerning our English courses, in Australia or elsewhere. Stay with a friendly host family and you’ll not only dramatically improve your English, you’ll also experience the Australian way of life at first hand! Host families are available on a self-catering basis, or you can choose a half board meal plan which means your family will provide you with breakfast and dinner each day and the chance to use your English vocabulary in everyday situations. 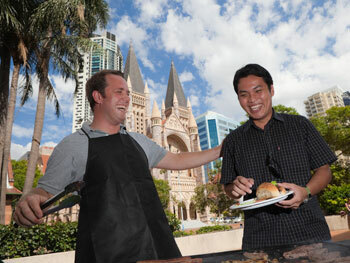 Our school takes great care when selecting host families, assuring you an enjoyable stay in Australia! Have a trip to remember by joining in with our school’s varied activities! Regular activities include welcome tours, beach trips, movie nights, dance lessons, museum trips and nights out with classmates, to name but a few! Excursions are arranged for the weekends, introducing you to places like the beautiful Moreton Island, Dreamworld (Australia’s largest theme park) and the pristine beaches of Byron Bay. Please be aware, however, that some activities carry an extra cost. Our school can collect you from Brisbane Airport upon your arrival, although this service is not included with your English course in Brisbane.